Der Artikel Nikolai Rimsky-Korssakoff (1844-1908): Klavierkonzert op.30 wurde in den Warenkorb gelegt. 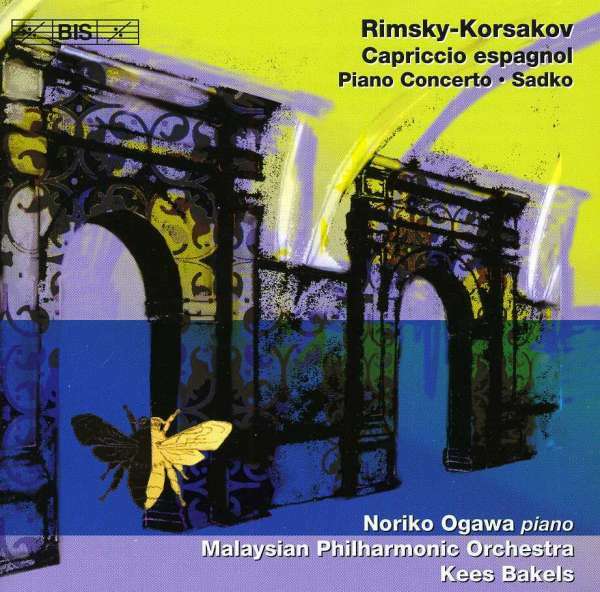 On their previous Rimsky-Korsakov disc, Kees Bakels and the Malaysian Philharmonic Orchestra gave us their interpretation of the ever popular Sheherazade – a »particular joy« according to the critics – coupled with the less well-known Second Symphony. On this disc the favourites include the Capriccio espagnol and Flight of the Bumble-Bee, unusually presented in its context as the third movement of an orchestral suite from the opera The Tale of Tsar Saltan. At least as attractive is the Russian Easter Festival Overture, dedicated to the memories of Mussorgsky and Borodin; the composer's final large-scale orchestral piece. Based on Russian liturgical themes it progresses from a solemn pre-Easter processional, through the discovery of Christ's empty tomb, to the joy and triumph of the Resurrection. Another work that definitely deserves to be better known is the Piano Concerto. Within its short time-span it daringly explores a wide range of expressive possibilities which Noriko Ogawa and the orchestra exploit to the hilt. Hörprobe Track 8: The Tale of Tsar Saltan (Skazka o Tsare Saltane), musical pictures (suite) for orchestra, Op. 57: II. The Tsarina in a Barrel at Sea. The Tale of Tsar Saltan (Skazka o Tsare Saltane), musical pictures (suite) for orchestra, Op. 57: II. The Tsarina in a Barrel at Sea. 9 The Tale Of Tsar Saltan (Skazka O Tsare Saltane), Musical Pictures (Suite) For Orchestra, Op. 57: Iii. The Flight Of The Bumble-Bee.